An email containing information about the congress documents was sent out a few days ago. If you haven’t received this email please check your spam/junk folder or let us know as soon as possible. We welcome proposals for oral and poster presentation, in particular on new applications and experimental design of genome editing and gene modulation technologies to large-scale screening, pathway elucidation, disease modelling, therapy and relevant emerging technologies. Please contact us on CRISPR@LPMHealthcare.com, if you have any questions. 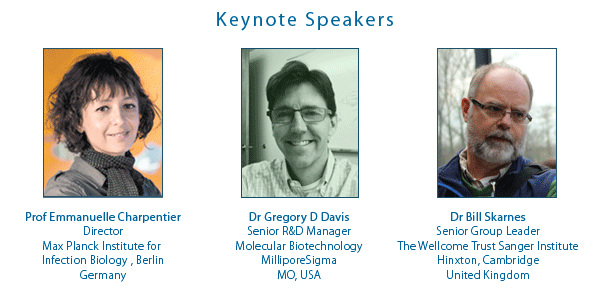 The Congress will be co-hosted with our 3rd annual Aptamers 2016, 2nd annual Oligos 2016 Oxford, 1st annual Exosomes 2016 Oxford and 11th annual RNAi 2016.